RUSH: Hey. Here I am back at it, folks, and great to be back here with you on the Excellence in Broadcasting Network, Rush Limbaugh here. The telephone number, as always, if you want to appear, 800-282-2882. And the email address, ElRushbo@eibnet.us. All right. So Kirstjen Nielsen is out. You know, folks, my impression of her was that she was loyal and that she was tough and that she was out there begging for support. And so I was one, I don’t know of how many, that was surprised when I found out she was leaving. Do we know yet whether she was fired or asked – (interruption) She was fired. She didn’t resign voluntarily. She was asked to resign. All right. It’s really instructive to see how she is being blamed by the Democrats, instead of Trump. She’s become the whipping girl instead of Trump. According to the Democrats and the media, which of course are one and the same, she is a horrible person for allowing Trump to put children in cages, which Trump did not do. I feel like I’m hitting golf balls uphill against the wind here, an impossible thing to do. Trump didn’t put kids in cages! Obama put kids in cages! All of this, everything that we’re dealing with here that Trump wasn’t able to fix is something held over from the Obama years. And of course the Drive-Bys and the Democrats don’t want anybody thinking that. But every mess this country has, every mess that Trump is attempting to address, is something in place because of Obama. Kirstjen Nielsen didn’t put kids in cages, and Trump didn’t put kids in cages. It was a policy that happened during the Obama years. Now she’s a monster for letting Trump separate children from their parents which Obama and Bush and Clinton all did. This has been an American policy for over 10 years, but it is never become something that was successfully weaponized. Why would you want to trash Bill Clinton? Why would you want to trash Obama? The media, the Democrats wouldn’t want to do that. So they don’t even report any of that. Of course, the Clintons and the Obamas never wanted to do anything about immigration anyway except keep the borders open. And even George W. Bush in that administration was for amnesty. So this is the first administration, the Trump administration’s actually the first one to come along to actually respond to public pressure on this. There’s new polling data out from Rasmussen. Sixty-seven percent of the American people are totally opposed to what we’re doing on immigration, and they want it fixed. And nobody in Washington is listening to them, Republican or Democrat, except Trump and the very few supporters on this issue that he has. Now, I don’t know how many times I have mentioned this — and I’m sorry for those of you who have heard it all these times, I’m gonna mention it again for whatever it’s worth. It’s the Flores agreement that separates children from their mommies and daddies at the border. And you will not hear about this from the Democrats or you will not read or hear about it in the Drive-By Media. Nielsen and Trump are simply trying to follow the law, and not just the law. The ACLU and the Ninth Circuit Court of Appeals, Flores Settlement, which is what causes children to be separated in the first place. Flores, the Flores Settlement — F-l-o-r-e-s, spelled the same way as the old Oakland Raiders coach, Tom Flores, the Flores Settlement caused the current crisis. You could argue that the phony outrage over the separation of children is why we have the current crisis at the border in the first place. It’s a manufactured crisis. It’s not anything that’s new. It’s been American policy mandated by a decision from the Ninth Circuit Court of Appeals. I don’t care what you think of them, the law is the law, except in immigration. See, we choose to enforce some of it, but then we ignore other aspects of it. It is a mess. It’s an absolute mess. And I’m gonna tell you something, folks. 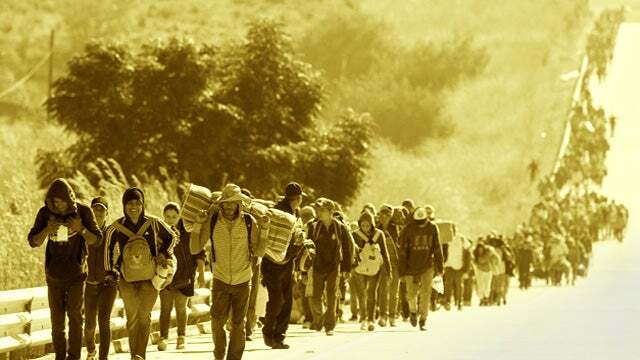 I don’t for a minute believe that these caravans and this mass exodus of people from Central America and even South America is random and organic. I think this is a plan. It is a plan that has worldwide sponsors that are in cahoots with Mexican drug cartels, and its sole purpose is to put all kinds of economic and societal pressure on the United States to create crisis. Have you noticed now how many people who only months ago were lampooning the idea that there’s a crisis on the border are now admitting that there’s a crisis? What is that? What’s the gambit? Why are all these leftists and all these Democrats, these presidential candidates on the left, “No, there’s no crisis at the boarder. Oh, no, it’s overblown. We don’t have a crisis.” Now they’re all saying it is. They’re not saying it’s a crisis for the same reason we are. They’re saying it’s a crisis because they want to advance their own solution, which is just open the border and end the crisis. If there’s no border, there’s no crisis. If there’s no border, you don’t have any illegals crossing it. If there’s no border, there’s no problem. You just leave the gate open, leave the door open, let people come in, and it’s just a natural flow of human beings. That’s how they want to end the crisis. We of course want to end the crisis by shutting this down, simply stopping immigration, illegal immigration. Build a wall, do whatever, whatever resources are necessary. And you know, Kirstjen Nielsen and this situation notwithstanding, I hope Trump hits this hard this week. It’s his best issue. And he has the American people on his side. And that’s why he got elected. And if the truth be told — dare I say this, Mr. Snerdley — there are some Trump supporters out there getting nervous that it’s taking so long given that it was the number one issue and given that it has only gotten worse, this was what was supposed to be first up on the agenda to fix. (interruption) She just left her home. She’s gonna do a press conference here outside her home. She’s in Alexandria, Virginia, she’s meeting the press. Now, what should I do? 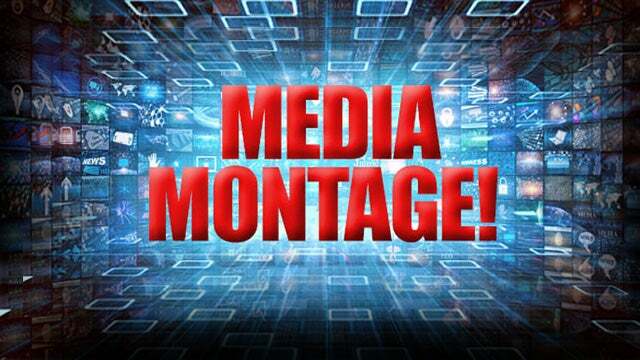 Should we JIP this or should we just roll tape on it and get audio sound bites? ‘Cause our microphones are there. Let’s go ahead and listen to a bit of it. We can always make up for lost time. Here she is. NIELSEN: — securing the border. I will continue to support all efforts to address the humanitarian and security crisis on the border. And other than that, I’m on my way to keep doing what I can for the next few days. So thank you all for being here. RUSH: Okay. That’s it. She’s gonna keep working. She’s gonna everything she can. She just got canned! Well, we are rolling on this because our machines never stop rolling, so if there’s any highlights here, we will have it. I want to go back just one more time on this Flores Settlement because this is important because the Democrats and the media are continuing to use – (interruption) That’s it. She’s heading back into her house now. That’s it? See, my instincts prevailed yet again. If we would have stuck with that any longer, it would have been thank you for coming and now I’m going back in for a toddy. All right. The Flores Settlement. The Flores Agreement. This outrage, this phony outrage over the separation of children is why we have the current crisis on the border in the first place. It’s been manufactured. We have been separating children — it’s all about asylum and it’s all about detention centers, and it’s all about the law. And once somebody claims asylum — and kids can’t — once an adult comes in and claims asylum, you separate them. You detain them and you put ’em into a detention center. It takes three weeks, or did, to process the claim. But you have to separate them at the time, by law. This is the Flores Settlement. And I’m really cutting to the chaff here. And it has now become — it’s been happening for years and never reported. Now it’s being reported and the American people are being led to believe it’s the first time ever, it’s Trump doing it ’cause Trump hates people, Trump hates kids, Trump’s a Nazi, Trump’s a racist, Trump’s a pig, and Trump’s separating children. And it’s nothing new. It’s been part of American policy and law sanctioned by a left-wing appellate court and the ACL freaking U. Thanks to this phony outrage, we’re now back to catch-and-release, which means we will have more than one and a half illegal aliens released into the U.S. this year alone. The way it works, you come in, you make an asylum claim, and you’re given a date to come back for process. And the thing that happens is nobody comes back. And we don’t know where they go. We don’t track ’em. We don’t implant little chips in ’em to follow ’em where they go. So 99% never come back for the hearing. They just blend in. They just fade away. But that was the goal. That was the goal behind the phony outrage in the first place. Just as it was the ultimate goal behind the Flores Settlement itself. The idea has always been to flood the border with such numbers that we would just have to give up on having a border. The whole idea here — and it’s coming to fruition — just flood the border so that we can’t handle it. I hate to keep citing this, but it’s another variation of Daniel Moynihan’s defining deviancy down. You give up trying to enforce laws against bad behavior. ‘Cause there’s so much of it going on, you can’t catch ’em all, and you can’t prosecutor ’em all, so you just ignore the law and you change the law so that the criminal activity that was is no longer called criminal. And as you do that over and over, you are permitting deviancy to normalize, to become normal and to rise in terms of its occurrences throughout your culture and society. In a way, it’s a variation of the old Cloward-Piven strategy in action, and it’s succeeding. Because every day another Democrat calls for doing away with the border or doing away with the concept of citizenship, can’t ask a citizenship question on the census, no, no, no, that’s bigotry. No, no, no, no, that’s insulting, no, no, no, no, that’s racism. Just imagine if all these people do this, if all of these people crossing the border were wearing MAGA hats, what do you think the media and the Democrat Party would be doing? They would be building the wall. 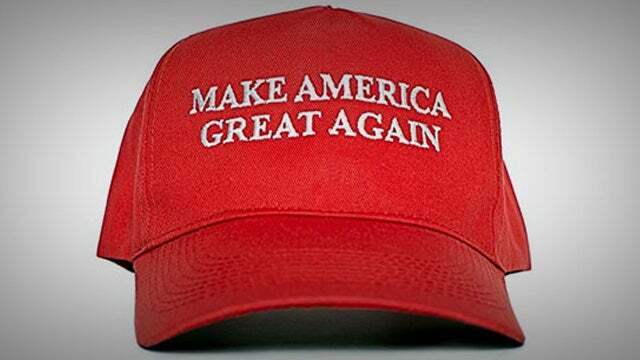 They would be down there, they would grab their armed units from the KKK or whatever and they would send ’em down there and they would start shooting on site these people with MAGA hats trying to get into the country. That’s the way to look at this. If all of these refugees, if all of these migrants, if all of these wonderful illegal immigrants were wearing MAGA hats (chuckles) what do you think the reaction would be? So I hope Trump hits this hard — whatever is going on here with the Kirstjen Nielsen situation — it’s his best issue. It’s his rallying point issue. He has his base and an increasing number of the American people on his side. And folks, it’s only gonna get worse. Can you imagine the optics this summer? You know, summer traditionally in America has been riot season. I don’t mean to be insulting here, but in America summer is riot season, and especially if there’s an election in the coming fall. Now, there isn’t one this year, but just imagine the summer optics and how devastating they will be for open borders. Trump needs to shuffle around some money and get that wall up! Get started on it ASAP! And we had a call last week, we had a bunch of people suggest this and we need to do it. We need to start taxing the — you know how much in remittances illegal immigrants are sending back to the home countries? It’s around $60 billion. We need to start taxing that as a threat to Mexico and Central America. TERRY MORAN: Nielsen will likely be best remembered for enforcing the president’s zero-tolerance policy, which resulted in the separation of thousands of migrant children from their families. MAJOR GARRETT: Nielsen’s legacy: Family separations. KENNETH MOTON: She will be forever linked to children being put in cages. JONATHAN LEMIRE: She oversaw the family separation policy, which prompted protests across the country and heartbreaking images of children in cages. SAMANTHA VINOGRAD: Nielsen has been the brand ambassador for President Trump’s most inhumane policies. JOE LOCKHART: Anyone who comes in now, runs the same risk that Nielsen has of ruining their reputation for the rest of their lives. 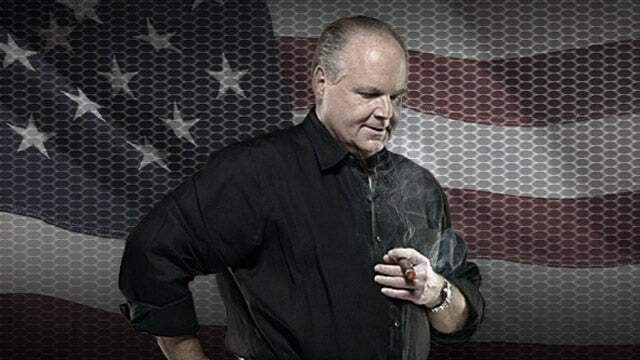 RUSH: Yeah, because of people like you lying about the policy and lying about what people are doing to obey the law! You hear how many people in this montage say, “Putting children in cages”? I’m just telling you, folks, this has been American law stemming from the Flores Settlement, Flores resolution. You can look it up in the Ninth U.S. Court of Appeals, and it has required the separation of children from their parents, and the children haven’t been put in cages! They were put in detention centers, for crying out loud — welcome centers, for crying out loud — with food and education and medicine and SpongeBob SquarePants or whatever else they needed. They were not put in cages. Asinine. And now everybody’s changing their tune. Now everybody’s talking about it’s a crisis on the border. And again, you have to examine, okay, why are these people who up until just a few months ago were lampooning the idea it’s a crisis now claiming it is. What’s the gambit here? Fran Townsend, she goes back — at least my knowledge of her — goes back to the George W. Bush administration, and she has been involved in foreign policy, Homeland Security, that kind of thing. She was on CBS this morning with Norah O’Donnell. Oh, have you heard, Norah O’Donnell is making a big power play inside CBS to kick out the anchor of the CBS Evening News, a guy named Jeff Glor. She wants the gig. I was reading this in one of my media blogs — not the tech blogs — one of the media blogs. She’s apparently running an inside political game inside CBS to get that anchor slot. I know. Big whoop. I’m just telling you who she is. It doesn’t matter to us who is the anchor of the CBS Evening News, whoever reads what’s on the teleprompter for 22 minutes. Anyway, Norah O’Donnell is cohosting or hosting here Fran Townsend, former counterterrorism adviser to George W. Bush, and here’s the question. “The president called Kirstjen Nielsen on Sunday morning and said essentially, ‘Shut down the border. Shut it down to all migrants. Shut it down to people seeking asylum.’ Nielsen repeatedly told Trump, ‘Sir, some of that is illegal. I just can’t do it.’ What’s gonna change in terms of immigration? Will anything change with this firing?” Now, this is from yesterday, keep that in mind. TOWNSEND: Certainly we don’t expect McAleenan or any secretary to be breaking the law. And if the president doesn’t like the law, the administration is gonna have to work with Congress to change some of it. But look. There has been a surge. I was down at the border not 10 days ago, and the system is overwhelmed. And so something’s gotta give. You know, the president is understandably frustrated with the increasing numbers, but firing Nielsen isn’t gonna change that. RUSH: Well, of course not, there’s something other than that going on. But notice she says here, I was down at the border, because I work for George W. Bush, so I went down to the border 10 days ago, the system is overwhelmed. Something’s gotta give. TOWNSEND: Not high on my list. Look at the rising crisis of anti-Semitism and domestic terrorism in this country. That would be much higher on my list, but we’re not talking about that. Look at the opioid epidemic. There’s a bunch of things, there are foreign policy crises that I’d put higher on the list, whether that’s Russia, the threats from China, international terrorism, ISIS, Syria, I mean, I have a whole long list, but this is not at the top. 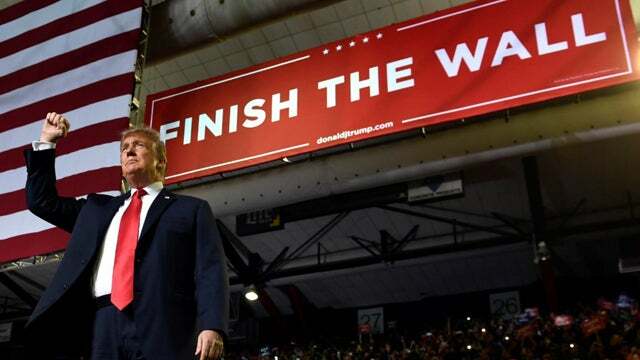 RUSH: She’s talking about the border. Back on January 9th. Ah, no, being asked about immigration, situation the border, January 9, no, no, no, no, no, that’s not high on my list, no, no, no. Look at the rising crisis of anti-Semitism, domestic terrorism in this country. Domestic terrorism. Foreign policy crisis. Russia. Russia? The threats from China, international. Now all of a sudden in the last 10 days, and she’s not alone, she’s just illustrative here, she’s not alone. There’s all kinds of people just like this January, February, March, no, no, no, no crisis, Trump doesn’t know what he’s talking about, there’s no emergency, come on. Now it’s overwhelmed and out of control. I’m sure you’ve seen other people address this. Let’s go to the polling data on this. Rasmussen Reports: “For Voters, Illegal Immigration Remains Big Problem, But Not for Democrats.” That’s the headline. By the way, a reminder here, if you watch CNN or MSNBC, read the New York Times or Washington Post, you will not know what’s going on in the real world. Now, this is important to note. Voters by a wide margin expect borders to be respected and enforced. The Democrats don’t care who is coming across the border. Cartel members, human beings being trafficked, murderers, rapists, purse snatchers, it doesn’t matter to them, as long as they keep coming. That’s collateral damage in the war on American values, and that’s exactly what we are in the midst of, folks. This open border and all of the other things the Democrat leftist radicals are pushing, promoting, end up, essentially, being a war on American values, a war on the American founding. You know, that’s the best way to put this. 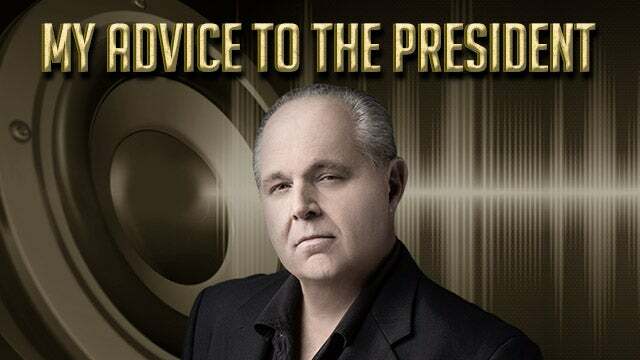 We are in a war, in a battle, some people think, “Yeah, Rush, it’s a civil war.” Call it whatever you want. The war is over the founding of this country. Make no mistake about this. These are people who view the American founding as unjust, illegitimate and immoral and impossible to fix. We were founded, for example, with slavery, therefore no matter what we do, even ending slavery, having affirmative action, whatever we do cannot erase the scourge of the founding. Women were not allowed to vote when the country was founded. And so this country will forever be misogynist and chauvinistic no matter what improvements or changes or corrections are made, because the original sin, quote, unquote, remains. And because it was there when the country was founded, the founding is illegitimate. And make no mistake, that’s what this war is about. And that’s what the objective of the radical leftists the world over is to obliterate. This country and its links to our founding. You can call it a war on American values, you can call it an American culture war, but it is a war over the American founding. And that war is out of step with what a majority of people in this country want. The majority of people in this country do not have a problem with the American founding and, in fact, love their country and don’t have any serious problems such that the country needs be dissolved and reconstituted. There’s nowhere near a majority of people who fall into that category, and yet, there is a small minority of leftist radicals pushing this whole idea and they are increasing their numbers with open borders and who knows what other techniques. I don’t know. We got our own problems with this, too, because Republican companies, some of them like the cheap labor that crosses the border. Here the details of the polls. “Voters continue to view illegal immigration as a serious problem but don’t think Democrats want to stop it.” You know what the number is? 67%! This is an incredible number. “Voters continue to view illegal immigration as a serious problem but don’t think Democrats want to stop it. Cutting foreign aid is one tool voters are willing to consider. So if you think illegal immigration’s a serious problem, bingo, you are like 67% of the American people. If you think it is a really serious problem, then you’re in also the group of 47% of voters. Those are two stunning numbers. But if you happen to be a Democrat, you don’t think anything of the sort, including the Democrats running for president. Now, I mentioned earlier that if you watch CNN and read the New York Times or Washington Post, MSNBC, you will not know what’s going on in the real world. You will not know what’s going on in your country. If all you do is watch CNN, read the New York Times, Washington Post, you’re gonna think that Trump still colluded with Russia, that the Barr summary of the Mueller report is a lie. This is all you’re going to know. And that Trump is continuing to put children in cages at the border, but you’re not gonna know what’s going on in the real world. People can say, “How can the Democrats be so out of touch? How can only 32% of Democrats think it’s a problem?” ‘Cause they’re not told that it’s problem because the news sources they watch are not even addressing the issue. The only problem in immigration the Democrats realize who read the New York Times or watch CNN is that we’re putting children in cages! That’s the extent of their awareness. Their media isn’t even talking about this. That’s why only 32, really 8%, think that it’s a serious problem. And if these Democrat candidates are this oblivious, if the Democrat candidates for president also think there isn’t any big deal on the border, it’s manufactured, it’s just nothing but Trump putting children in cages, they don’t have a prayer. They do not have a prayer. I will say this even this far out. If they are estranged from 67% of likely voters on the seminal issue that got Donald Trump elected, then where are they? RUSH: Mitt Romney. One other thing that I did not squeeze in the first hour. Mitt Romney was on Meet the Press yesterday with Chuck Todd. And he was describing this dramatic shift fueling the immigration crisis. Mitt Romney told Chuck Todd there’s been a dramatic change in immigration in just the last few weeks. Suddenly families and accompanied minors are coming to the U.S. — m-i-n-o-r, not coal miners, but children — coming to the U.S. and demanding asylum, and they’re being released to the U.S., and as far as Romney concerned, this just started happening a couple weeks ago. Where has this guy been? But, anyway, this is what I mean, folks, when I say that — I use Fran Townsend simply as an illustration — Romney is just one of many who are all of a sudden now acknowledging a crisis on the border. The question always arises, are these people really this dense? Or are they blind or are they so arrogant that whenever people they think are fools or beneath them or not members of their club assert something, it’s automatically wrong. Like 67% of the American people think that there’s a major problem with immigration, so do elites like Romney automatically discard it because the 67% are the rabble? They can’t possibly be right. What do they know? They’re just a bunch of reactionary American voters primed up by this demonstrably insane Trump. They have this idea that immigration is laborers? Now, that could explain the Chamber of Commerce thinking, but you really have to ask yourself, these people — I don’t know how to characterize this — but there’s always been an assumption, I think it’s been a fair assumption that people that end up in elected positions or appointed positions of power know more than the rest of us because they’re privy to more information. And I think it’s one of the things that is unsettling to a lot of people is the realization that the people in these positions to fix these problems don’t even know what the problem is or don’t acknowledge that the problem exists for whatever reason — arrogance, ignorance. Apathy could be a big part of it. But I mean to me this is just explicable. Mitt Romney ran for president twice, got fairly close in 2012. But only in recent weeks? Or has Romney always known it, never wanted to acknowledge it, but for political reasons now he’s got to acknowledge it? Either way you slice this, when you analyze it, you don’t end up giving these people the benefit of the doubt. We’re looking for what their calculation might be in saying what they’re saying rather than it actually being honest. ‘Cause I don’t know how you can honestly say that you don’t think immigration’s been a problem until the last few weeks. Well, anyway, they’re now saying that it is, so what is the gambit?